The Tuckett Family: Picture overload! Here are the pictures that I promised! This is Ava with a milk mustache. She wanted to hold the camera. 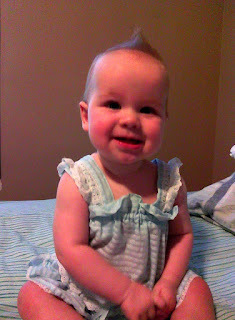 This is her before coming over to me to steal the camera. She has the intent in her eyes! This is what she has been doing constantly for the past week. Standing up next to furniture. Huh? Such big beautiful blue eyes! Daddy loves his baby girl! This is a bad quality because it was taken from my phone. 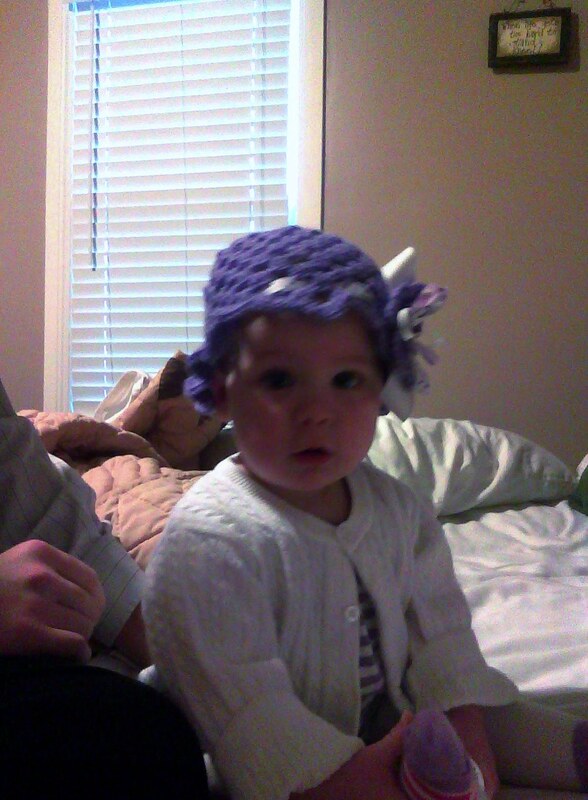 We thought this hat looked adorable! She wore this on Sunday and got so many compliments. Her Grammy Connie made this for her and she was finally able to wear it! This is just plain funny. We think she just gave us a cheesy grin to humor us. 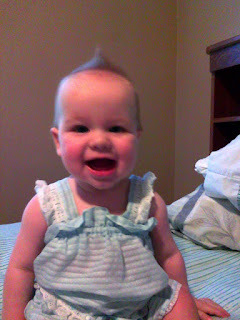 Do you like her little fohawk?